Newton has Georgia on his mind. Before becoming a national champion and NFL MVP, Cam Newton grew up in Atlanta, Georgia. 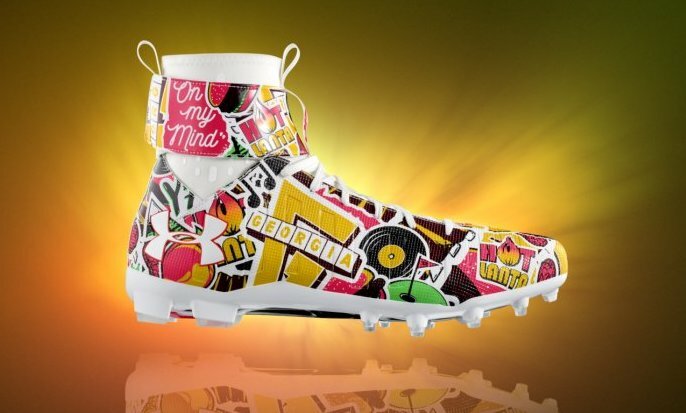 With the Carolina Panthers visiting the Falcons today, Newton is saluting his hometown with a pair of custom Under Armour cleats during pre-game warmups. 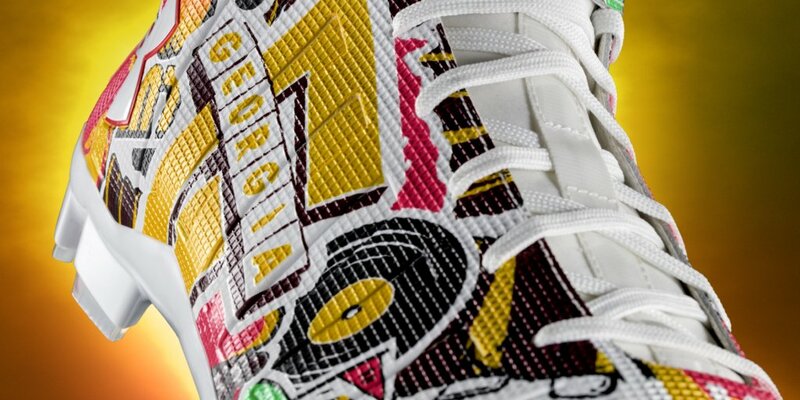 The cleats feature a graffiti-style print consisting of Georgia-specific elements, such as landmarks, quotes, food and music. 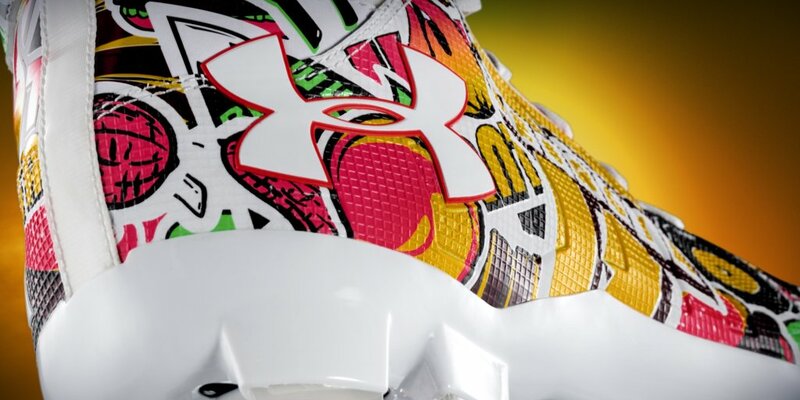 Newton will change into a pair of cleats that meet uniform guidelines for the game. Last week, Newton laced up purple cleats as a tribute to the late great Prince.